A successful organization is a combination of competent and passionate people, working well with each other in a vibrant environment to achieve common objectives. Our objective is to offer solutions for saving lives and we completely understand the bigger responsibility on our shoulders. We thrive on our values and collaboration. Team Work is one of our Core Values. Everyone at HD Fire Protect is encouraged and empowered to work with each other to achieve greater success and customer satisfaction. 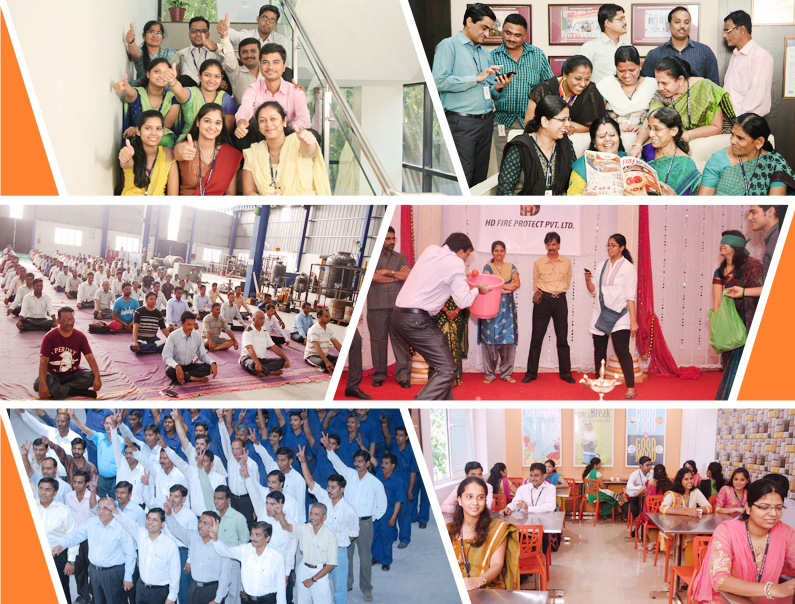 Company understands its greatest assets are people and our people understand their greater responsibilities. Company also organizes many celebration events like family gatherings, festival celebrations, competitions and award ceremonies.